Are You Worried About Asbestos? 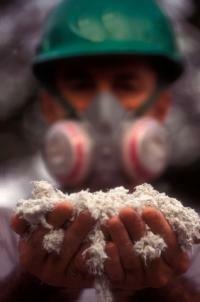 A dangerous carcinogen, Asbestos, is fibrous material that can cause mesothelioma and lung cancer. Demolition, repair or improper attempts to remove it can release these fibers into the air, where they pose the highest health risk. At Ecosystems Environmental Services, Inc., we are dedicated to providing affordable, reliable and fast asbestos testing for our clients.Our commitment is to taking every protective measure to ensure safety by using state-of-the-art methods and technology in all our procedures. Ecosystems handles complete site management from the initial survey to developing the abatement design specifications. This includes coordinating abatement activities, providing cost estimates, monitoring the project with our industrial hygiene staff, providing final clearance verification for re-occupancy, and developing operations & maintenance plans to provide specific guidelines for managing any asbestos left in place. 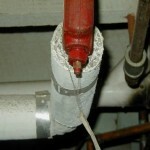 The key emphasis is on health and safety issues and cost effectiveness to the client. All services are conducted in accordance with the Environmental Protection Agency’s NESHAP or AHERA protocols, whichever is applicable based on the type of project. The asbestos survey is conducted to identify, quantify, and determine the condition & potential health hazards of asbestos containing materials. The results from the asbestos survey reports are used to develop cost estimates for abatement and to determine which reduction method will reduce and minimize any potential exposure. These specifications address the actual work procedures, practice, and monitoring of the project necessary to ensure the health and safety of the workers and community, and to comply with all applicable OSHA & EPA regulations. Abatement projects are monitored by our industrial hygiene staff to ensure compliance during the reduction project with the abatement design specifications and Federal regulations. Ambient air samples are collected on a continuous basis during reduction to monitor for potential asbestos fiber release and as a final clearance to ensure airborne asbestos fiber counts are below regulatory permissible limits.